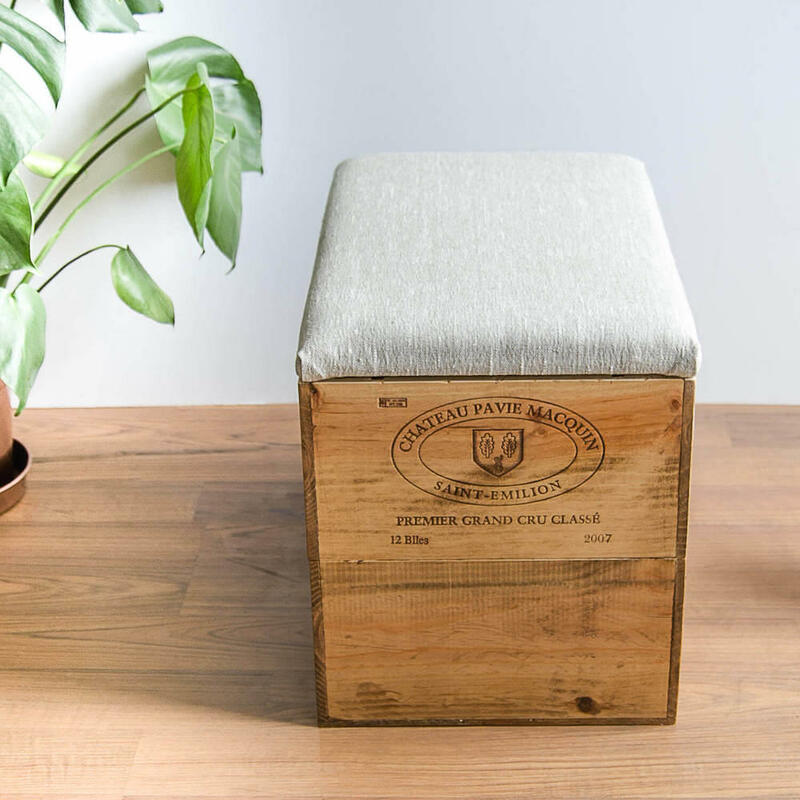 Modern wooden ottoman, handcrafted in Bristol using reclaimed original wine crates and natural linen. 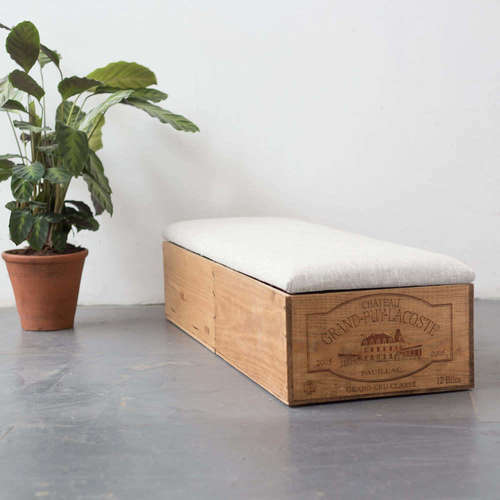 Ottomans are a great way of increasing the amount of seating options in the home whilst being a useful storage box, ideal of urban living where space saving can be key. 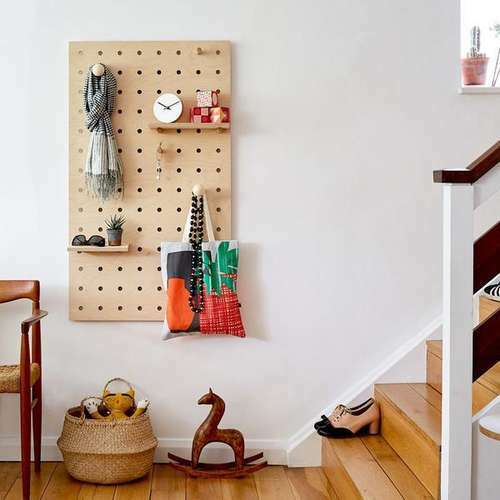 You can choose whether the inside is unlined for a more natural look or lined with calico. 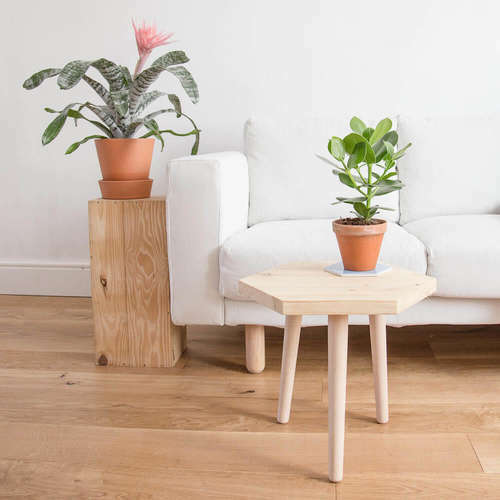 The lid is upholstered with a 1'' foam and batting so it is soft enough to sit on whist firm enough to double as a make shift coffee table. 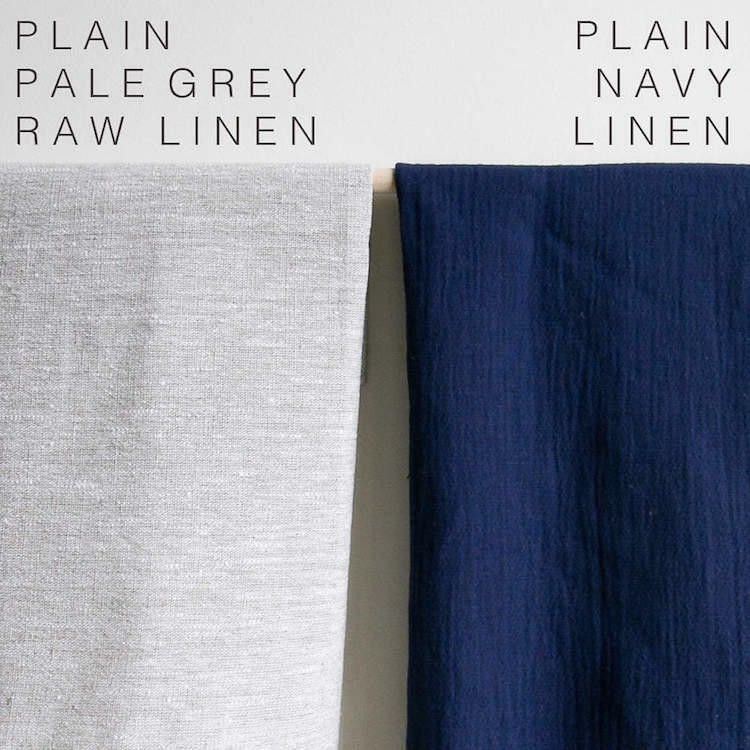 You can choose from plain pale grey or classic navy linen. Dimension - Size: L 50cm W33cm H 38 cm weight 8.5 kg (inner dimensions L 48 cm W 31 cm H 34 cm). Note - Box labels may vary and most crates are slightly different sizes. If you have any questions about this ottoman or you would like a custom size please feel free to contact us here. 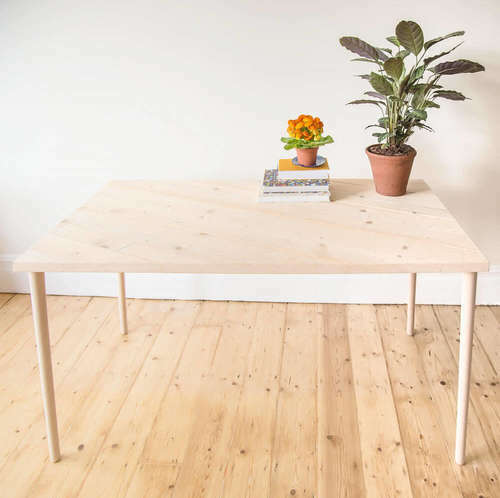 Made Anew is run by Chloe who makes all her modern and minimal pieces by hand in her Bristol workshop using only sustainably sourced materials. 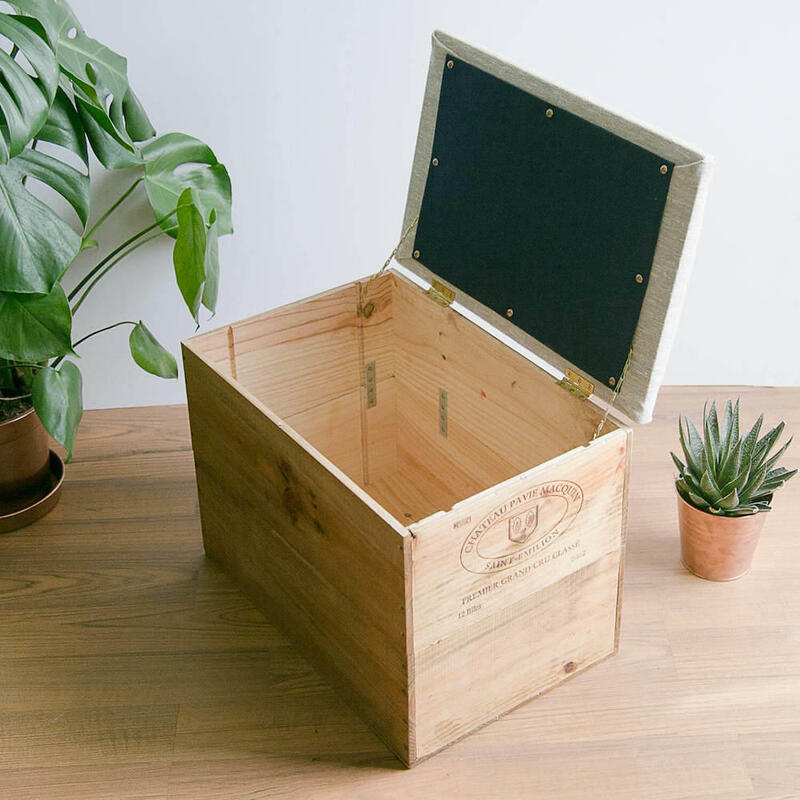 Made Anew's designs focus on functionality whilst transforming recycled materials such as old wine boxes and reclaimed timber into stunning statement pieces fit for any home. Delivery Packaging - Where possible Made Anew re use appropriate packaging so remember, it's whats inside that counts! 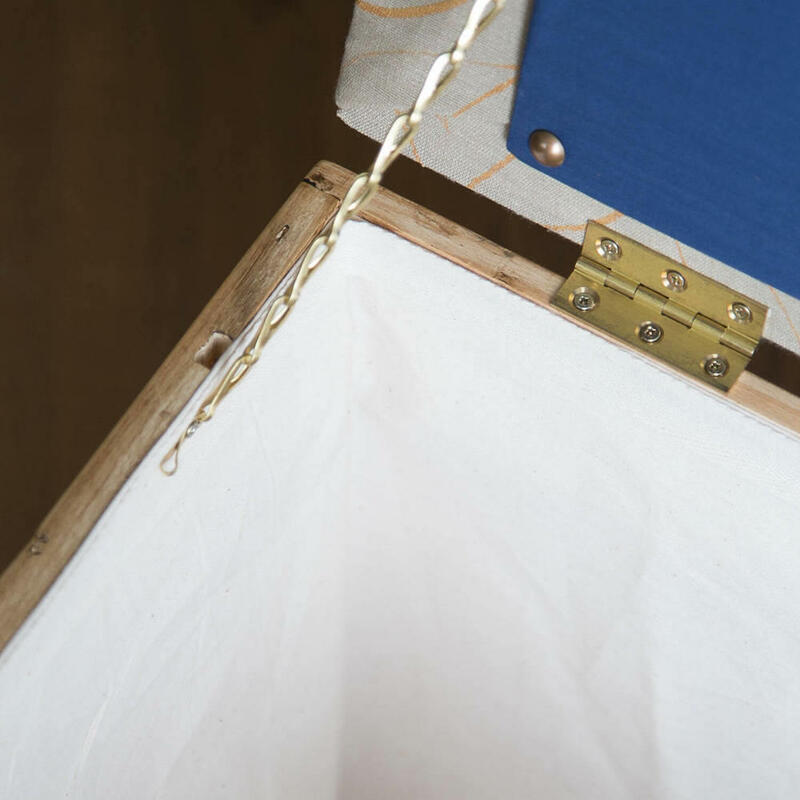 Heavy duty cardboard boxes,bubble wrap, recycled padding, recycled card, heavy duty tape. Please allow 1-2 weeks to be made and delivered. Unused ottomans can be returned at the customers cost via tracked delivery within 14 days of receipt of the item.